Don’t worry, you don’t have a tapeworm. It has been exactly two hours and 36 minutes since your last meal. You know because you’ve been watching the clock. For you, cravings are a way of life. Your stomach is a bottomless pit. Second dinner is a must. And getting “hangry” is a real and ever-present threat. What gives? We chatted with Pamela Peeke, M.D., M.P.H., senior science advisor at Elements Behavioral Health and author of The Hunger Fix, about the top reasons some women are just always ravenous. Check them out—and finally feel full. Some women were born lucky (thanks, genetics). 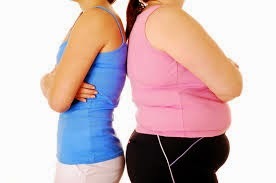 Others have worked hard, put on muscle, and revved their metabolism that way. 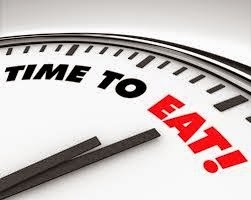 And, of course, the faster your metabolism, the more fuel you need. According to research from the University of Vermont, about 32 percent of people have metabolisms that are more than eight percent different (higher or lower) than the population average. So having a fast metabolism might amount to burning 100 to 400 extra calories a day, says Peeke. It’s not as much as you might hope, but it would explain that second serving of lasagna you justhad to have. 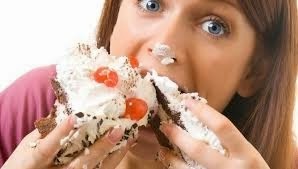 Processed foods—like white bread, cookies, even salad dressings—spike your blood sugar, let it crash, and then leave you feeling even hungrier than you were before you ate the stuff. 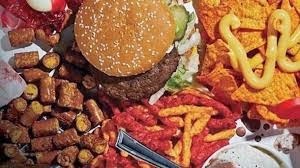 Research published in the International Journal of Obesity shows that high-fat, high-sugar foods interfere with mood-regulating chemicals in the brain, leading to symptoms of depression and overeating. “Refined sugar, because it has such a powerful effect on the brain’s reward center, is the most common reason people’s appetites remain so high throughout the day,” says Peeke. Limit the amount of packaged foods you’re eating, and stick with whole-grain carbs whenever possible. PMS is one thing, but some hormonal conundrums can make you hungry all month long. Having hyperthyroidism, an overactive thyroid gland, is the most common hormonal cause of constant hunger, says Peeke. When thyroid hormones are too high, the body’s vital functions speed up, and you burn energy faster than intended. Grave’s disease, an immune disorder affecting the thyroid gland, is the most common cause of hyperthyroidism. Meanwhile, hypoglycemia (perpetually low blood-sugar levels), as well as pre-diabetes and diabetes (too high blood-sugar levels), can also cause hunger spikes, she says. If you believe any of the above might apply to you, talk to your doctor about being evaluated for any hormonal imbalances.